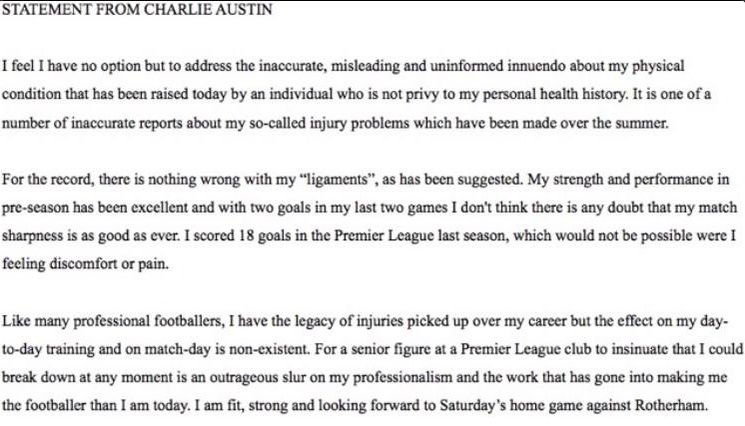 Charlie Austin is as fit as a fiddle. The QPR striker, who was a reported transfer target for West Ham, made that abundantly clear in a statement released via his Twitter account today when he addressed comments made by Hammers co-owner David Sullivan about his fitness. "He failed a medical at Hull a couple of years ago," Sullivan told the Evening Standard." They say he has no ligaments in his knee, who knows? To sign a £15m player is a big risk. "He could go on for years, but knowing our luck his knee will go in his first game and that's the end of it!" 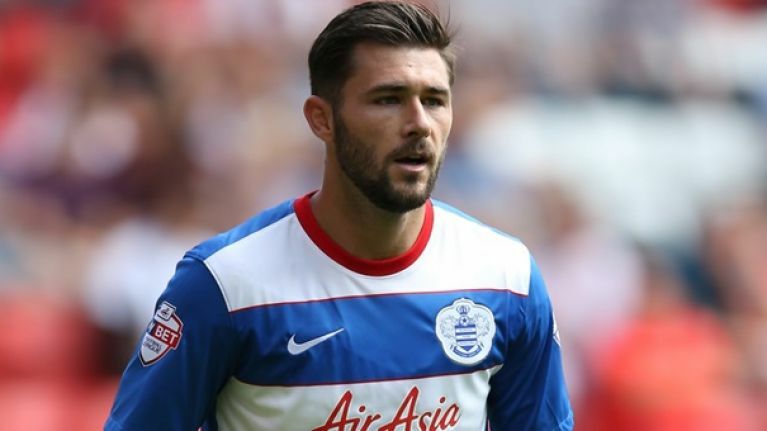 The remarks irked Austin, who is a transfer target for a number of clubs after scoring 18 goals for QPR in the Premier League last season, and the 26-year-old released a considered statement denying the accusations made by Sullivan. While the statement is clear, convincing and impassioned, we think that the recent England call-up should have reverted to his namesake to really hammer the point home.